Fox Wilson use innovative materials to hand manufacture cycling and performance wear in the UK. They were recently built a brand new, responsive e-commerce website by iSOS.com. They wanted to spread the word of their beautiful new site and sell as many of their products online as possible. Before starting the campaign, we conducted thorough competitor research to obtain as much information on the online market as possible. We analysed their competitors by conducting backlink and keyword research to study their online authority and how they were positioned within Google. After the initial discovery phase, one of our first tasks was to get Fox Wilson added to all of the local and relevant online directories. At this time we also set up their Google My Business page and provided keyword recommendations and optimisations to help them be found easily within the search engine. Throughout the campaign we have completed regular site audits, which highlight parts of the site that need work. These included meta tags (meta titles, descriptions) and alt-tags - making sure we keep them up to date with relevant high-ranking short tail and long tail keywords. Technical audits also highlight images that slow down site speed amongst other issues that require attention, ensuring that these are corrected as soon as possible after they are spotted. Another task we undertook was creating an internal linking structure to establish site architecture, disperse page authority and ranking power throughout the site. We have continued to optimise the content within the site, ensuring that keywords are frequently checked and updated accordingly and included in all new content that is published. We decided it would be a good idea to regularly update the News section within the website with an ‘Item of the Month’ - producing an in depth article on one of their products each month. This is keeping the content regularly updated and fresh, which Google loves! We have seen a huge increase in Fox Wilson’s online traffic since the start of our campaign. New Users on the site through Organic Search has increased by 234.89% and we have also seen a fantastic leap in Sessions through Direct Search - a whopping 177.51%. The Organic Search Goal Conversion rate has increased by 121.19% which shows that the onsite SEO work we have undertaken is working well in converting customers into sales. We’re also extremely happy with the keyword increases we have seen within the website. At the beginning of the campaign, Fox Wilson were ranking #101 for ‘urban cycle clothing’. We are now showing on page 2 at position 13 for the same keyword, with it steadily rising. 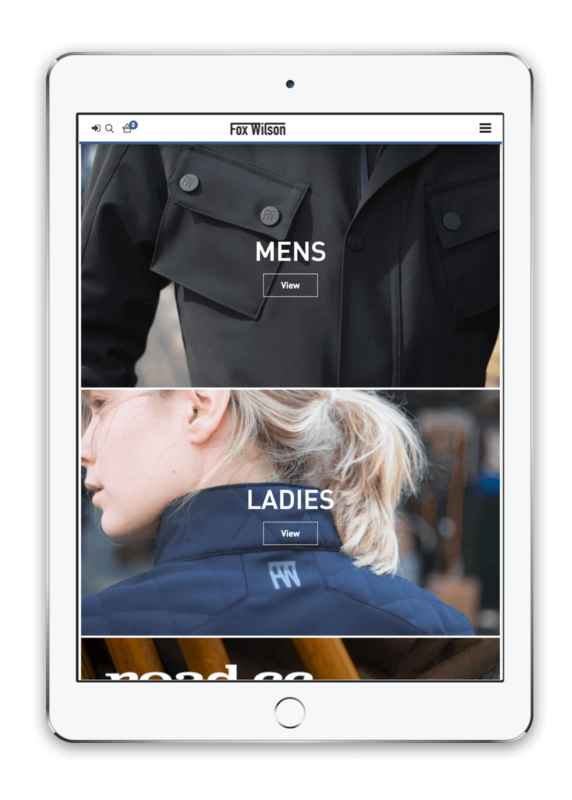 We’re also extremely happy that Fox Wilson are also now ranking on page #1 at position 5 for ‘womens cycling jeans’ and position 8 for ‘mens cycling jeans’.